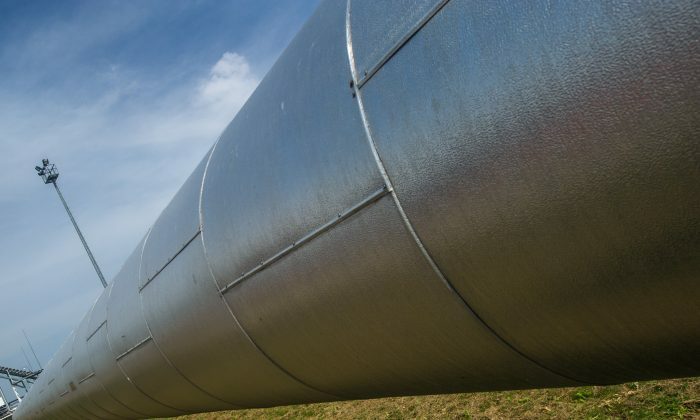 BRUSSELS—The vice president of the European Commission, Maroš Šefcovic, was contacted on Thursday by Russian energy minister, Alexander Novak, and confirmed that Russia’s plans for the South Stream pipeline project would not be developed any further. The South Stream project would have run a pipeline under the Black Sea to transport gas from Russia to the EU through Bulgaria. Since Russia was to be the owner of the gas and the pipeline, the project violated the EU’s anti-monopoly laws and the project was frozen in June of this year. Russian President Vladimir Putin announced while in Turkey on Dec. 1 that the project would be discontinued, citing EU’s red tape in moving it forward. On Tuesday, Šefcovic, who is also the Commissioner of the European Energy Union, discussed alternative energy sources with representatives of Austria, Bulgaria, Croatia, Greece, Italy, Romania and Slovenia, the countries most reliant on Russian gas. They talked about the construction of liquefied natural gas (LNG) terminals in European countries, improvement of pipeline connections among countries in the region, and setting up pipelines that can send gas in both directions so that gas supplies can be reversed if necessary. “The most important issue for the EU more broadly is connecting the entire [European] Union together as a network so that you can move gas around, left, right, up, and down and reverse its flow. It’s not a matter of gas resources, there’s plenty of gas in the world, it’s the matter of being able to move gas around,” said European Policy Center analyst, Amanda Paul. Among possible routes of gas deliveries, a pipeline under the Caspian Sea was discussed, which would connect European countries with Azerbaijan and going further east, to Turkmenistan. This would allow the European Union to eventually sever its dependence on Russian gas completely and diversify its energy sources. It hopes this will be accomplished by 2019. Also on Tuesday, Greece, Bulgaria, and Romania signed a joint statement to work together on a natural gas “Vertical Corridor” that would connect their countries and improve gas flow between them. The deadline for completion of this project is still unknown. The concerned member States and Šefcovic agreed to set up a high-level working group, with the support of the European Commission, to coordinate these efforts. “Perhaps they should have been more proactive before South Stream was actually cancelled, because it seems to me they are in a bit of a rush now to try and work out alternative gas sources for these countries that would be affected by cancellation of South Stream project,” said Paul. Russia provides about a third Europe’s gas right now, half of which comes from pipelines through Ukraine. The conflict in Eastern Ukraine lead to a deterioration in relations between Russia and Ukraine, and has made gas supplies through Ukraine less secure. In 2006 and 2009, Europe lost gas through those routes when Russia cut supplies to Ukraine, and the South Stream project would have prevented that from happening again. As Putin announced South Stream’s cancellation, he also said he would build a pipeline to Turkey, which is not an EU member state. Meanwhile, Turkey has issued a statement saying that it never signed a treaty with Russia, only a memorandum to discuss the issue further. Turkish Prime Minister Erdogan said the six percent discount Russia was offering on the gas was not sufficient.